How do I install DNN? So the time comes when you have played with the ASP.net, you need a content management system and you are interested in the DotNetNuke — the infamous ‘DNN’. At Phi9, you can install DNN by one of the three methods. Either through WebMatrix, one-click installer or manually. To demonstrate the full process, let’s go with the last method and install our DNN. The steps involved are pretty simple. Make sure that there are no remains of previous installations in your domain or databases. Delete everything in public_html of the domain and recreate your databases from control panel. If this is your first attempt of installation, then you don’t need to worry about this step. Now the second step is really important. You need “special” permissions for your DNN before you proceed with the installation. This can only be done from server side. Have a system engineer assign these permissions for your domain(s). Simply email support@phi9.com or ask through live chat. Login to your Windows control panel, go to your hosting space menu, choose Databases section and create an MSSQL database. You see the ‘Create database’ button in below screenshot, just click on it. Create create a database user and assign it to the database you just created. Do it as follows. Go to DotNetNuke’s official website, click on Download link from top navigation and then download the “Install Package” shown here. Extract the zip package you just downloaded, login to your FTP account (through FileZilla) and upload the contents of zip package to public_html directory of your desired domain. You can see the login credentials in the account information email sent to you when you signed up. Now open web browser, go to yourdomain.com/install/, wait for a few moments before the DNN wizard starts up. Choose ‘Typical’ and hit the next button. Choose “SQL Server 2005 / 2008 Database”, enter SQL Server address (this is also sent you in account information email), enter your database name you created in step 3 above, uncheck “Integrated Security” check box, enter the db user name and password you created earlier and finally hit the button ‘Next’. The installation process will start. Hold your breath and make sure that you don’t get any errors. This is the final step of installation. Enter your user details and website information. You can then select the default template for your DNN. It can be either ‘Blank Website’ or ‘Default Website’. If this is a test deployment, you can choose the second option so you can play and learn. There you go. You brand new DNN blank website is ready. Congratulations! You can now download DNN’s official beginners’ guide and start cooking the DNN. “Cloud storage and hosting is the wave of the future.” It’s a claim that’s been bandied about constantly for the past few years. Judging by the general flow of current technology, though, it’s also turned into a claim that is fast becoming a reality. Tech companies, of course, are among the vanguard of the cloud revolution. It might surprise some to know, however, that an often overlooked area of the tech industry has also started to embrace it wholeheartedly. We’re talking about casino gaming providers. IGT, a world leader in slot machine development, launched its own cloud storage solution for casino games in late 2011. The IGT Cloud, as it is known, was also used by the UK-based Aspers Group casino chain last year. 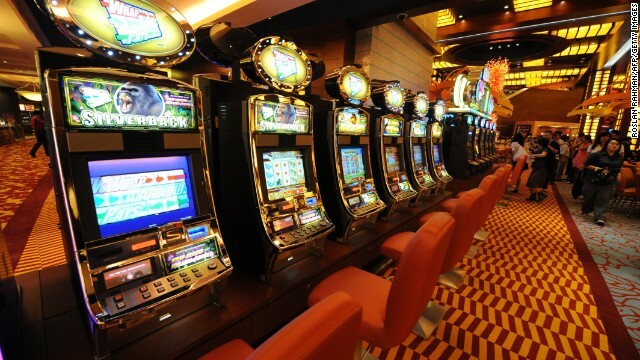 It currently links 103 machines across two Aspers Group casinos located in Milton Keynes, Stratford as well as two others in Newcastle and Northampton. Serious developments in cloud- and server-based casino gaming delivery systems actually started years before, in 2006. In 2007, Nevada gaming regulators approved IGT’s server-based gaming system after a successful test run on 20 machines. The system basically treats gaming terminals as blank boxes that can be loaded with whatever games the casino sees fit. The system provides land-based casinos with capabilities similar to those leveraged by online casinos. Updates and fixes can easily be rolled out to any problematic cabinets, minimizing the time required to do repairs. Interestingly enough, IGT also has its hands in the online market. Its servers are being used by UK-based online gaming giant Gaming Realms, whose online and mobile casino Castle Jackpot also features numerous IGT-developed titles. It’s no wonder, then, that more and more gaming companies are willing to gamble on the cloud.